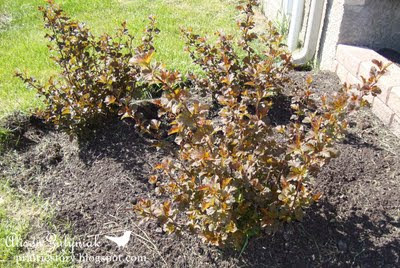 Ninebarks are a perfect prairie shrub because they are cold-hardy, drought-resistant, tolerant of a wide range of soil conditions and are low maintenance. I also really like the variety of colors they come in! I just planted these three Darts Gold Ninebarks in my front bed. They really pop with their golden yellow foliage which will turn chartreuse. They will also have little white flowers in early summer. I planted these Diabolo Ninebarks last year in a bed at the corner of my house and they are doing quite well! 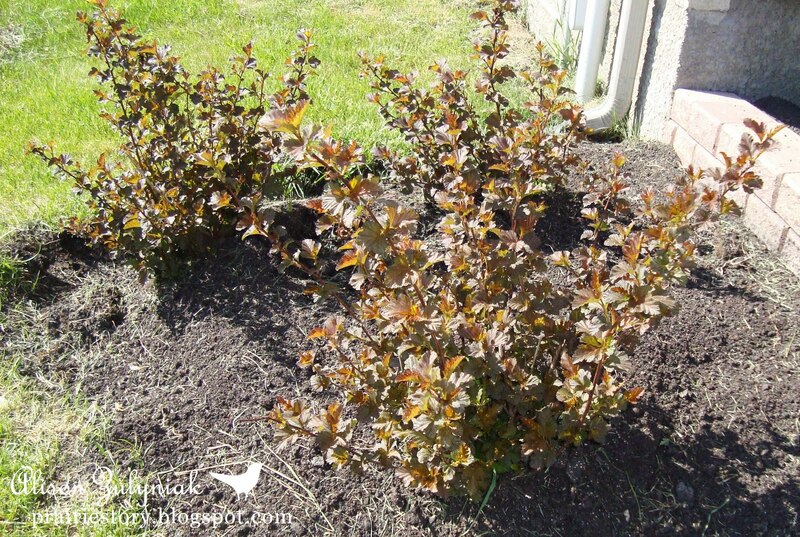 It's foliage starts off purple-red in spring, then purple-green in summer, and reddish purple in fall. They will have a very soft pinky white flowers in early summer. Oh yeah...Ninebarks get their name from its peeling bark on older stems that reveal contrasting inner barks in shades of red to tan in winter...some say nine different color barks! 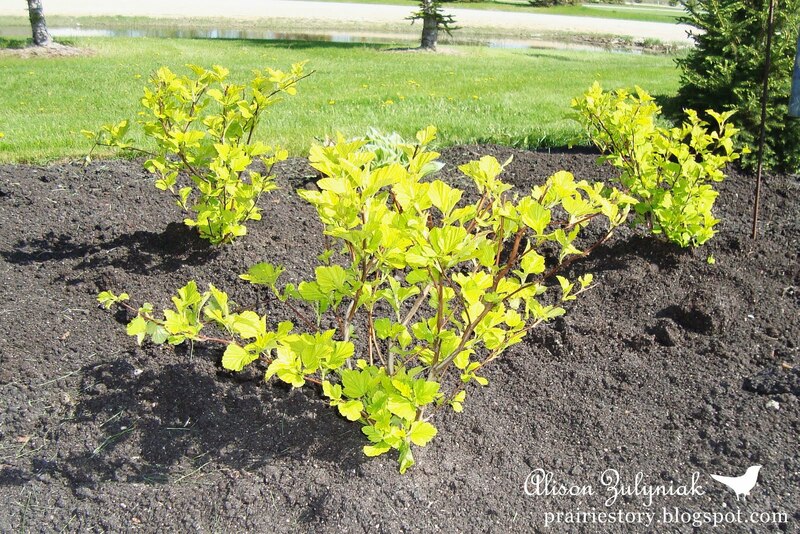 So if you have a sunny spot that is begging for a nice shrub, try a Ninebark! 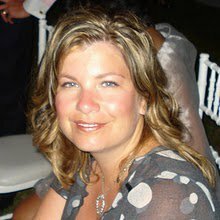 Never heard of this. I wonder how they would do in our hot hot NC temps. 101 today.